Opening: Without the A the BEAST is the BEST. 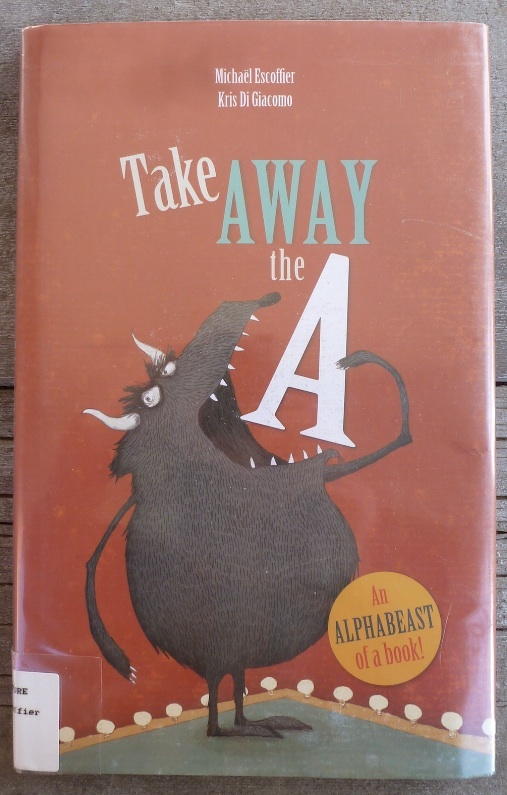 Summary: (from the publisher) Take Away the A is a fun, imaginative romp through the alphabet. 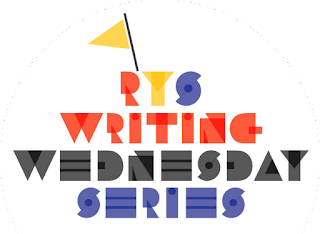 The idea behind the book is that within every language there are words that change and become a different word through the simple subtraction of a single letter. In other words, without the “A,” the Beast is Best. Or, without the “M,” a chomp becomes a chop—though it could be that this particular play on words didn’t even make it into the book, there are so many! 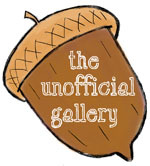 We certainly don’t want to give too much away. . . . Now, take a look and find some more! Discovering all of the words in the book is a lot of fun, and then there’s the wild, exciting adventure that follows, of trying to find more! I like this book because: I enjoy a good alphabet book, but even more I enjoy a book that is fun! 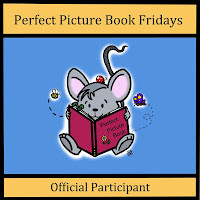 This is chock-full of great illustrations in muted warm colors, packed with beasts of all kinds. This is book I’m buying this giving season! Resources/activities: Make your own Alphabeast book – a great group project for the classroom! Do you like to hop directly to the Q and Z pages to see how those tricky letters are addressed? This book’s strategy is a BRILLIANT way around that conundrum! Thanks Julie. Brilliant is the word, Cathy! Love this book. Planned to review it but haven’t gotten around to it yet . . . I can’t wait to see what you do with it, Jama! Sou.ds fun! 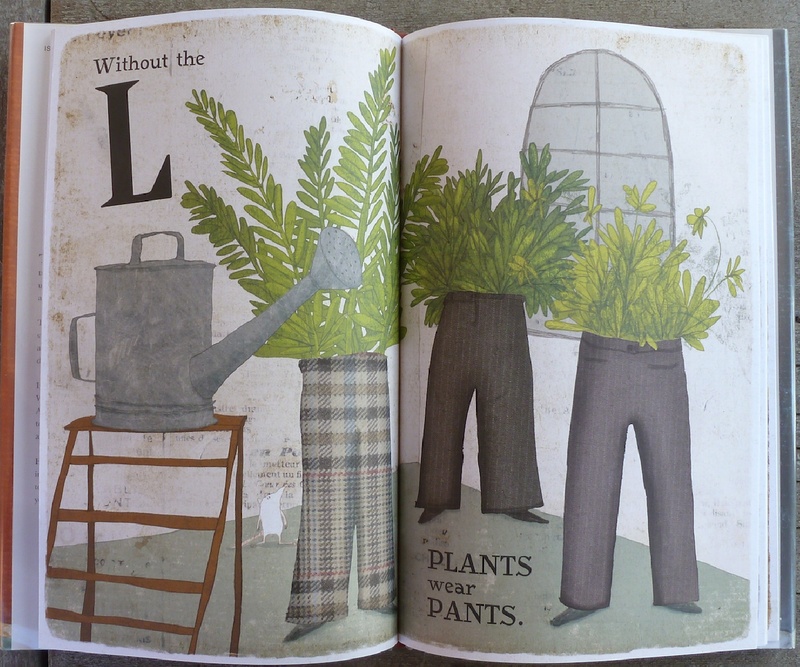 I love the trousers with plants in. Funky! 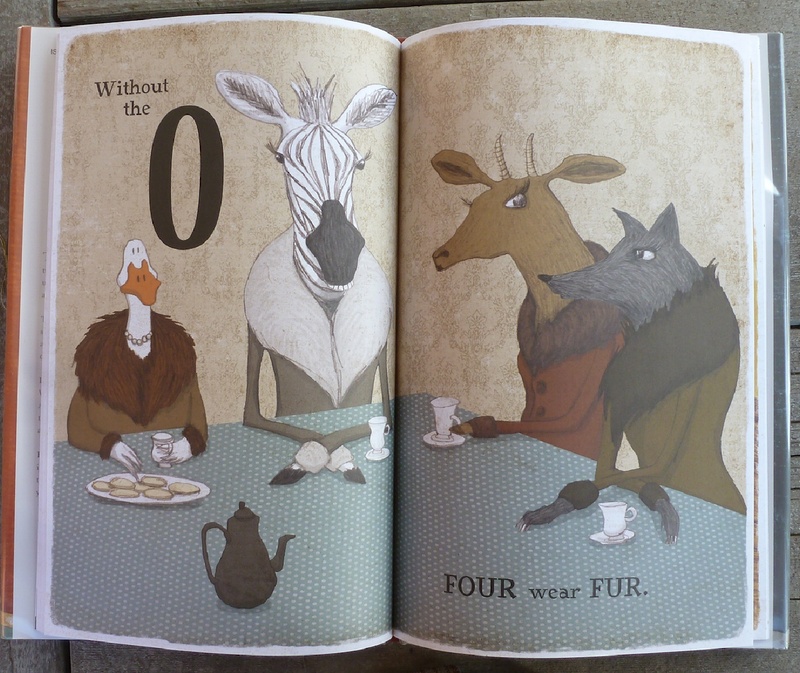 Now that is a brilliant idea for an alphabet book. I like it already. Great share. Glad a few of us posted reviews today. 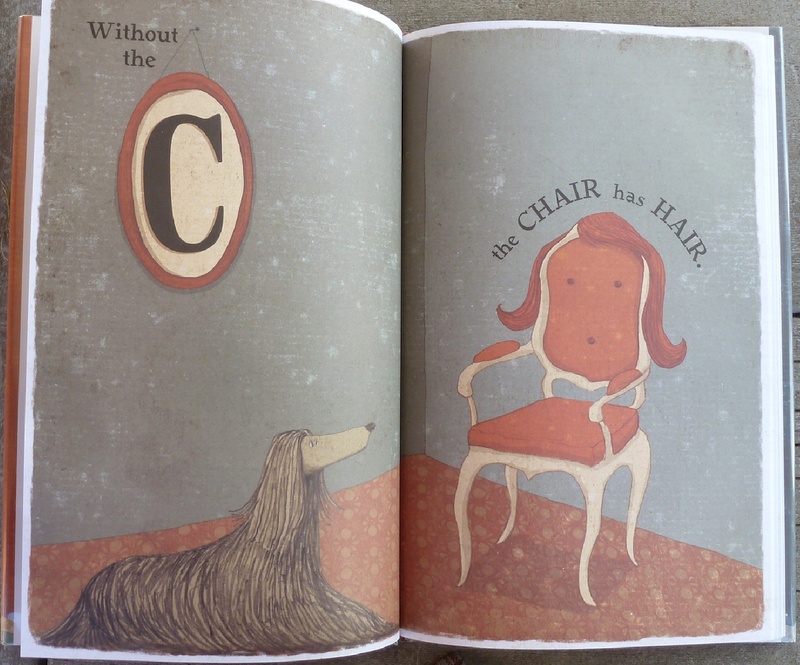 Oh, I do love a fun alphabet book! Have not seen this one – will now have to sniff it out! Thanks! How super cute and clever! Great review, Julie! This is such a novel take on the alphabet… lots of layers!